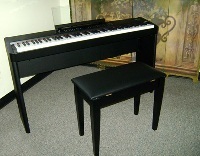 PianoSupplies.com has a piano bench for you! Our huge selection of styles, finishes, colors, and sizes, together with our variety of price points assures you will find the bench you want the way you want it. Like the one in the picture, but choose a different top and/or finish (stain). Our fourth category is Artist benches. 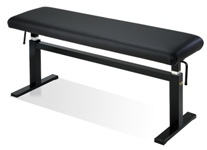 Artist benches are also available at various price points and with a number of options. Many of our (GRK) benches are "built to order" as orders are received. Please be patient, you can't rush quality. Once your bench is built, it will be shipped to you directly from the manufacturer. 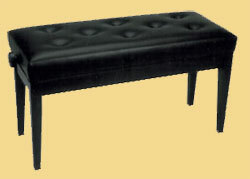 Jansen benches are usually in stock and ship within a few days.